1. 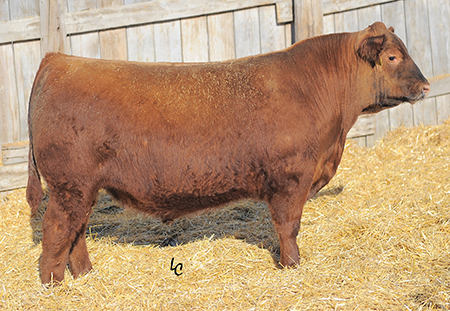 A stout made bull with good growth and Herd Builder opportunities. 2. Immpressive ratios and genomic scoring , descends from a maternal side selected for form and function. 3. Ranking in the top 25% for 9 different traits. He is a big-middled, wide topped bull.